White Wolf : Maori Singer Maisey Rika Performs A Beautiful Song "Reconnect To Mother Earth"
Maori Singer Maisey Rika Performs A Beautiful Song "Reconnect To Mother Earth"
Please enjoy Maisey Rika's debut music video "Reconnect" filmed in Omaio New Zealand. Directed by Shae Sterling (Moonlight Sounds). The winner of five Maori Music awards, and opener for India Arie’s recent tour, Rika’s music mixes styles, blending the ancestral sounds of traditional Maori instruments and chant with modern trends. Rika’s songs go beyond culture and touch on universal emotions of hardship, happiness, love, justice, and sorrow. Maori singer/songwriter Maisey Rika, has one of Aotearoa's (New Zealand's) most impressive lead vocal style, fused with her honest and thought invoking messages. Some have described her sound similar to Tracey Chapman or Sade, with a splash of India Arie. 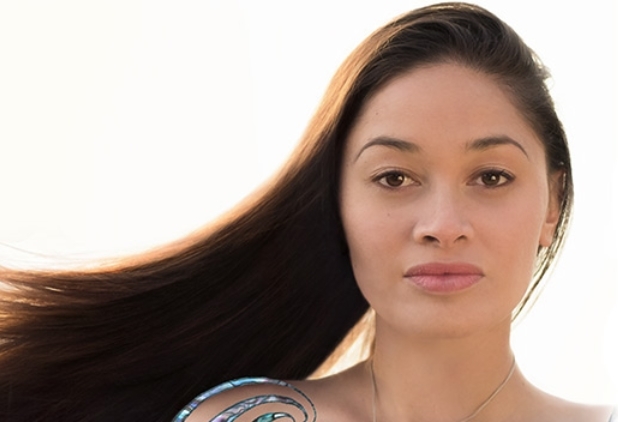 Her spine tingling vocals and fusion of English and Maori (Te Reo) lyrics is capturing the hearts of soul seekers both in New Zealand and abroad. Lyrics : Do ya hear the tui call, the huia in the trees A conscious thing I do, sweet sound may you never seize Do ya feel my body burn whenever you are near A thing I do, a fool for you will I ever learn? Responses to "Maori Singer Maisey Rika Performs A Beautiful Song "Reconnect To Mother Earth""
What a beautiful voice, sparkling like sun shining through trees. I now have to look up the history of the Maori people....and get the album of course. Almost everything about Aotearoa is hauntingly beautiful, but especially this particular song by Maisey Rika, because it's spellbindingly mellifluous in it's simplicity; the video ain't bad either.